At Redeemer we believe in helping others. Our students are actively involved in the community. By completing service projects they learn important character building skills such as empathy, generosity and leadership. Our annual Food Drive begins in November. Students and church members collect food items to be distributed through Crossroads Urban Center. 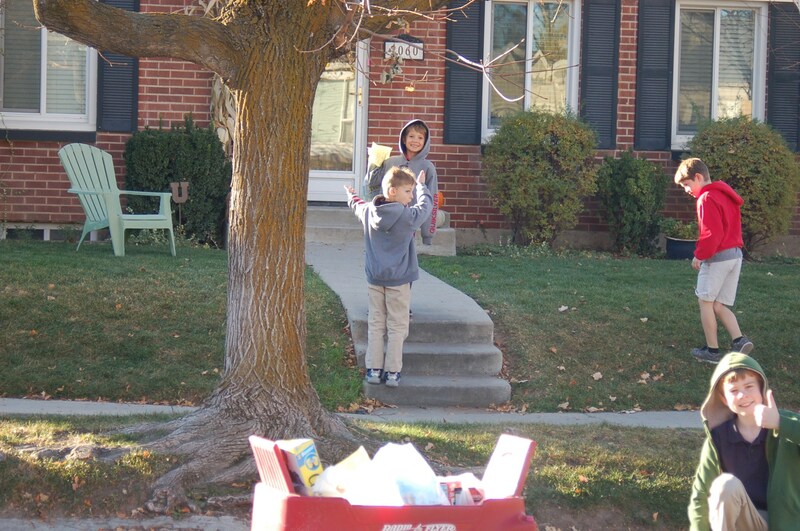 As part of this food drive, students canvas the neighborhood to collect food items from families in the school's neighborhood. Students collect money to help purchase Christmas gifts for children of prisoners. This is a joint project with our church. Students collect and assemble toiletry kits for families staying at Fisher House in Salt Lake City. Students collect money to help support a Christian school in South Africa serving Aids orphans and other children of need. Students collect money to provide mosquito netting for families in malaria effected areas. Students collect money to provide animals to those in need to help provide basic needs for families. If you would like to get involved with our service projects please contact the office at (801) 487-6282.